Thank you sooooo so so SO much to my great friend, Karine (aka Kanthara), who GAVE me a spare wacom stylus! Not only is she SUPER TALENTED and is currently a storyboard supervisor for some popular shows you have no doubt heard of *wink*, but she is also an awesome person and a phenomenal artist. Thank you thank you!! 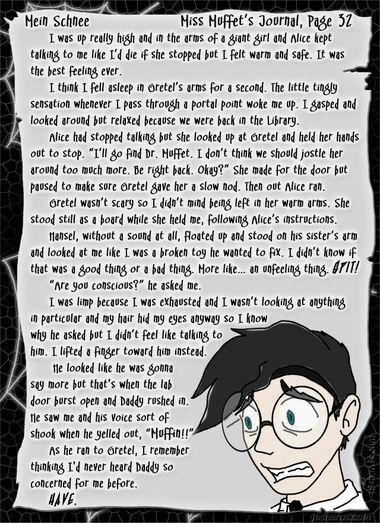 Without Karine, I would not have been able to put up this new look at Dr. Muffet. Haven’t seen the old boy in picture form for some time. He really hasn’t changed much but I loved how shocked he looks in the pic.